Tommy Gate’s G2 Series is the latest in parallel-arm technology. Dual hydraulic cylinders apply direct power to both sides of the platform for increased consistency in motion and stability. NEW Thieman 2000 lb. 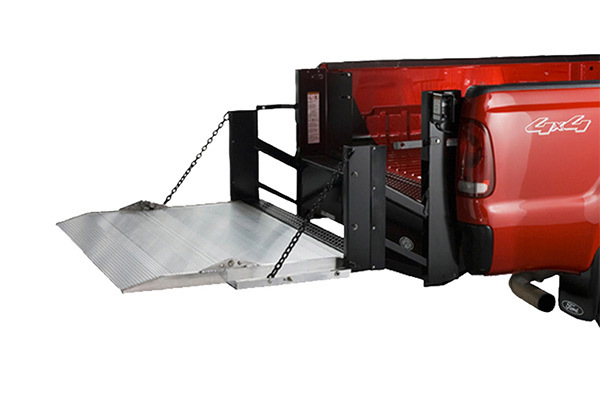 weightlifter conventional style liftgate with 32" x 84" HD Mesh steel platform, Power up and down electric hydraulics. New never been mounted. Ideal gate for flatbed or stake body, allows air to flow through platform when stowed. 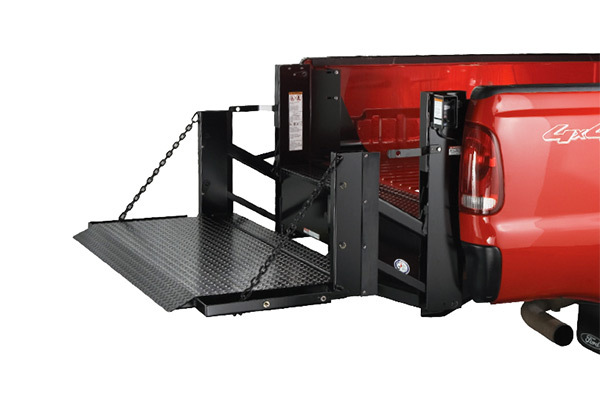 The LiftGator XTR is a portable liftgate system that can be attached to most pickup, flatbed, utility or service trucks equipped with 2-inch or 2 ½-inch hitch receivers. Installation takes less than three minutes. LiftGator XTR gives truck owners the flexibility to install and use a 1,200-pound-capacity liftgate when necessary, and to remove and store it when not needed. No truck modifications are required, and the vehicle can be driven with the liftgate attached. The LiftGator XTR system has a 48” x 48” platform operated with a simple button. More than 20 lifts can be completed on a single charge, and the self-contained battery system can be recharged using a truck’s seven-pin trailer connector or the built in 110-volt trickle charge. When installed, LiftGator functions like any other liftgate on the market. When not attached, its three-section foldable platform gives the unit a small footprint that takes up little storage space. This gives the truck owner a liftgate when they need it, and their truck back when they don’t.